Looking to keep your little one cool and comfortable? There are so many fan products to choose from it’s a bit overwhelming. Additionally, you’ll need to be sure that the one you choose won’t disturb your little one’s rest. To help, I’ve put together a list of the 5 best tower fans for your baby. They’re great performing, well-rated, and affordable models that will keep your little one cool and comfortable. They’re very quiet, too! 2. How do tower fans cool your child’s room? 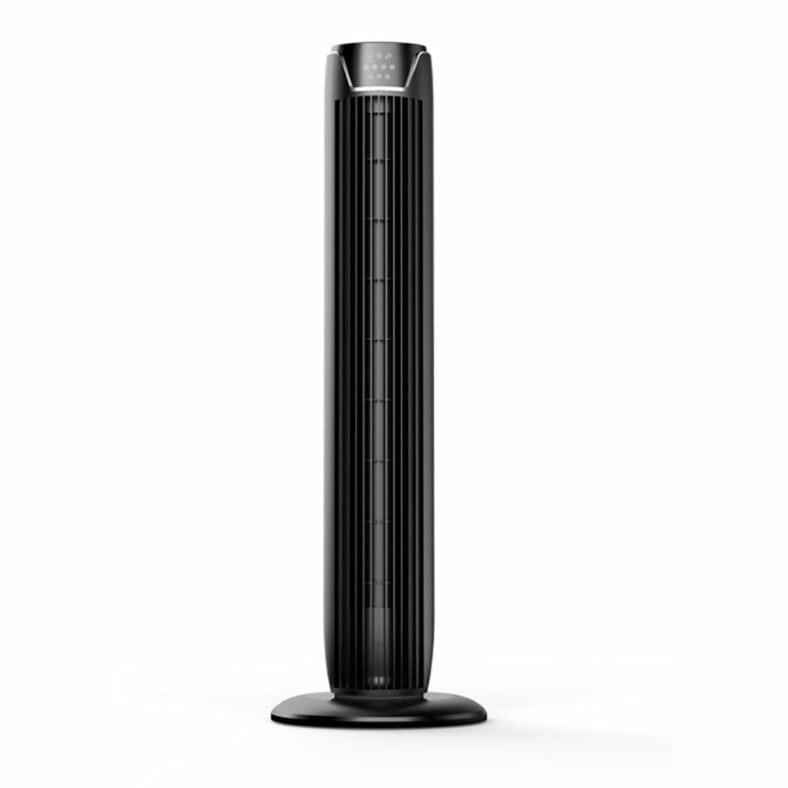 Unlike traditional fans such as box fans, tower fans use a unique tall and cylinder-shaped design. The cylindrical fan rotates and blows air out horizontally in a tall, vertical fashion. While the average fan has its place in your home, tower fans can distribute air more efficiently, quietly, and often have many more features. Unlike most traditional fans you’ve likely seen over the years, tower fans are pretty unique. Instead of having a round or box-shaped housing like others, they have a cylinder-shaped (“cylindrical”) design. It’s because of their specialized design that they offer several benefits the average fan can’t. Tower fans work by using a tall, vertical fan assembly driven by a motor in the base to blow air in a vertical pattern within the room. Their blades are different in that use a curved spiral shape in which the blade reach from the top to the bottom of the blower (fan blade) assembly. 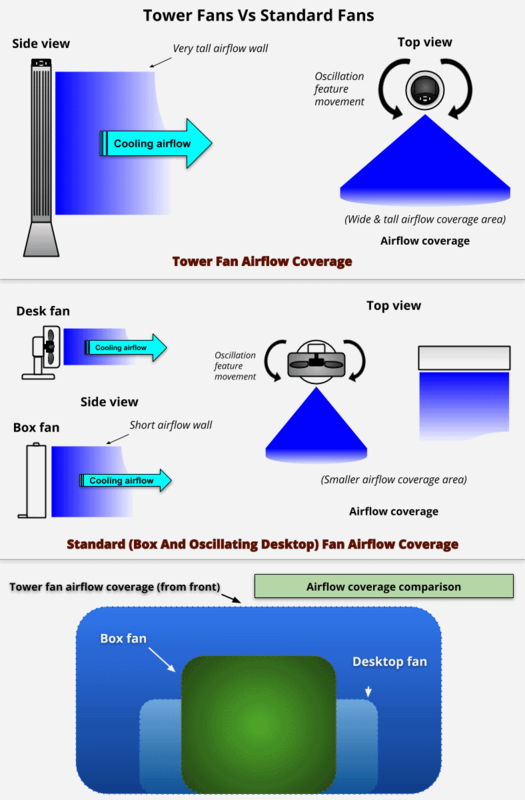 What’s particularly interesting is how much more air coverage you’ll get from a tower fan. Not all standard fans offer oscillation but it’s a standard feature on most tower models. By comparing the diagram above you can see how much more cooling ability you’ll get for your money. Instead of having a smaller, circular-shaped area or air blowing on you, you’ll feel a larger and taller area. Unlike regular fans, nearly all tower fans are designed to oscillate, or move side-to-side, automatically if desired. That’s very helpful and effective for cooling. By constantly blowing an enormous amount of cooling air across a huge part of the room they’re used in your baby’s room will feel much more comfortable. However, while being able to blow a huge amount of air, most also have many more fan speed settings than typical fans you’ll see. Some (like in my recommended products list) have a low-speed sleep ultra-quiet mode. That’s definitely a huge benefit for your baby and ensuring your little one sleeps undisturbed. I like to think of them as more advanced fans that are specifically designed to give more features, better cooling, and quieter operation during use. Ultimately the biggest advantage of buying a tower-style fan is that they can cool your baby’s room more comfortably due to better air coverage and quieter operation. How do tower fans cool your child’s room? 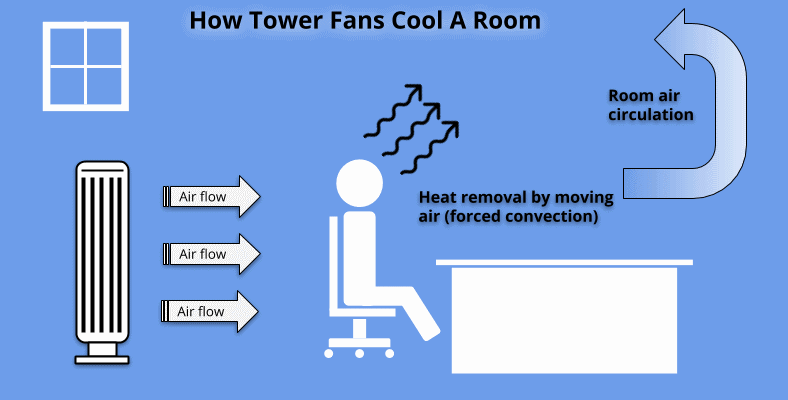 Tower fans create a cool effect by using forced convection to blow across both you and objects in your room, transferring heat into the nearby air. Convection is the scientific term that’s used to describe the movement of fluids, including gases like the air you breathe, and transfer heat. When the heat removed from your child’s body into the surrounding air you baby feels cooler. 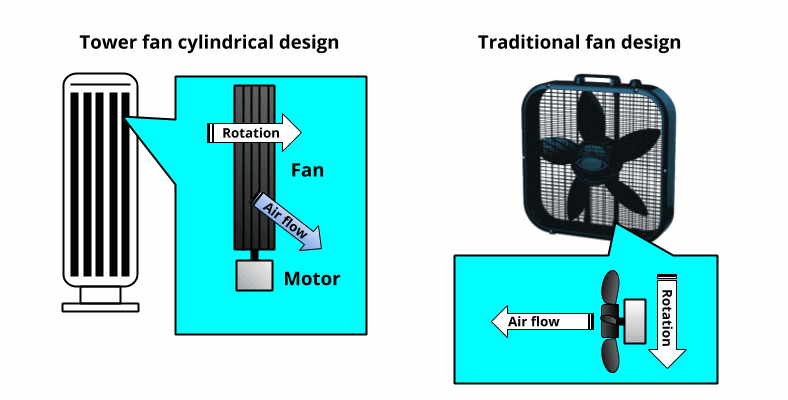 As you read above, these types of fans are unique in that they use a tall, cylindrical design that’s especially good at focusing air out in a way that covers a wider range of space. The result is a wonderful vertical stream of air blowing throughout your baby’s room. Basically the fan moves air very effectively across your child and their room, removing heat from, causing your little one to feel cooler. The air also circulates continuously, keep your child from feeling overheated as the air in the room can’t sit undisturbed and build up heat or become stagnant and musty. How does forced convection work? What does it mean? Fans, unlike air conditioners, don’t actually cool off a room by removing heat. They work off of the principal of forced convection. This simply means that fans force air across your body or objects in a room and transfer heat away into the nearby air, causing a cooling sensation. As an example, think about a computer’s central processing unit (CPU). It relies on a cooling fan to draw away heat by drawing cooler air over it and removing the heat it builds up. 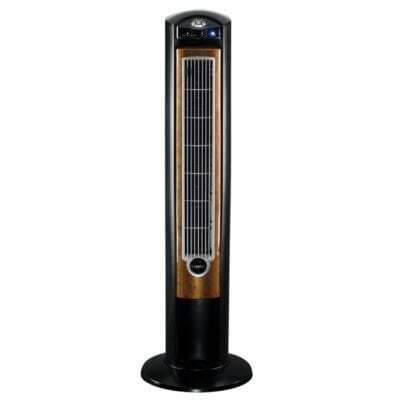 With a sufficient fan speed and when using a well-designed product, tower fans circulate the air in a room constantly. They keep the air constantly moving so heat cannot begin to build up and make you and your child hot, sweaty, and cause problems sleeping. In case you weren’t aware, there’s another great benefit – tower fans use much less energy than air conditioners. Air conditioners use a lot of electricity and really cause your bill to go up. The reason is that AC units not only have to power the electric fan that blows air, but they also much use a power-hungry motor. This motor drives the refrigerant compressor used to circulate the coolant and blow cold air. 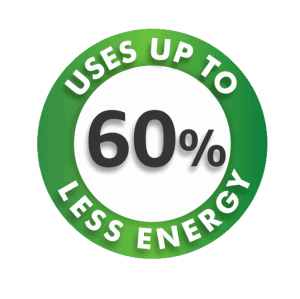 However, using a quality tower fan can save up to an amazing 60% in energy use! But what if you already have an air conditioner in your child’s room? Good news! You can benefit from both and save money at the same time. 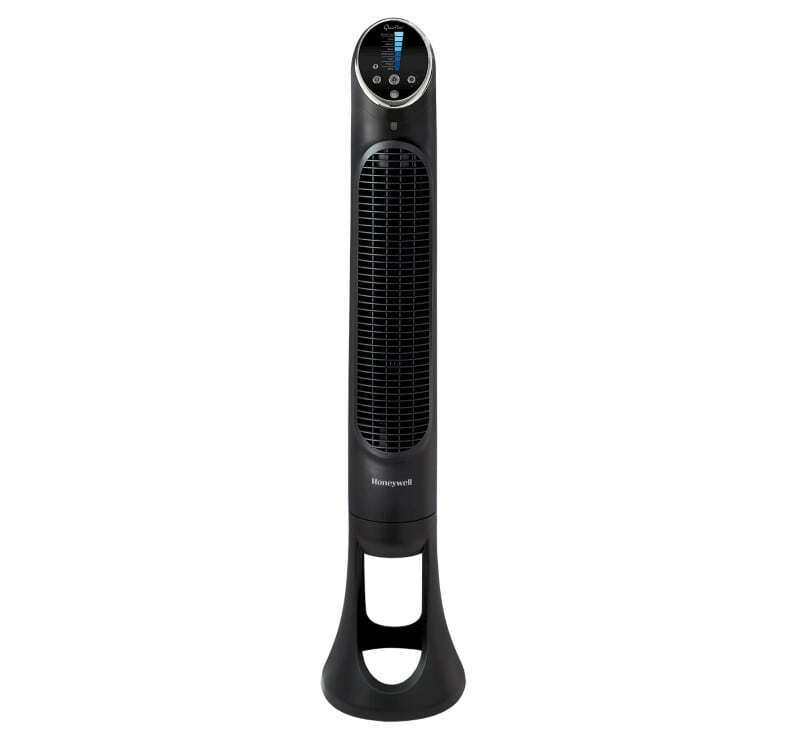 By using the tower fan and AC together, you can use the reduce the cooling temperature of the AC and use the fan to distribute the AC’s cool air much more effectively, reducing the need to se the air conditioning as much. In other words, adding a tower fan can boost your AC’s performance but save money at the same time. Picking a great fan for your baby really isn’t as tough as it may seem at first. When deciding upon a tower fan, look for some of the features that the most popular models offer. These include timers and even a remote control to switch modes from across the room or without even having to get out of bed! For the money, you’ll get a lot more value and enjoyment for your little one. The complaint I hear from most people is that there are simply too many choices and they don’t know were to begin. Believe me when I say that I totally understand! Even worse is spending your hard-earned money to get a nice fan for your baby but later find out you could have gotten more for the same price! It’s definitely very important to buy models with great buyer ratings. In my experience poorly designed fans and other home air quality products are noisier, won’t perform as well, and simply can’t come close to better-designed products in terms of satisfaction. Saving only a few dollars isn’t worth buying a fan that makes you and your little one unhappy! The best brands and models (see my recommended product list below) offer very quiet operation and are especially great for sleeping babies, toddlers, and other children. A better product offers features like low-noise modes that the cheapest models don’t. Some also offer special features like an air cleaning ionizer to trap airborne contaminants. These contaminants can cause your baby sickness, allergies, and other respiratory problems. If you’d prefer a dedicated air cleaner than can also act as a tower, be sure to have a look at the Honeywell AirGenius 5 I reviewed here. One of the greatest features you’ll find – and that I love – is an auto-off timer. With it, you can leave your fan unattended all day while at work or at night and have it turn itself off to cut energy costs even more! It’s an excellent feature I recommend to everyone. 1. Lasko Wind Curve – Classy looks + great performance + nice features equals a real winner! If you’re looking for one of the best fans for your baby look no further. 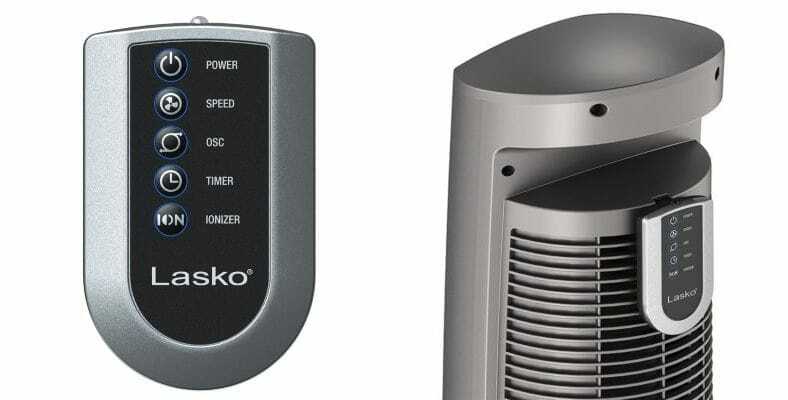 The Lasko Wind Curve with fresh air ionizer has nearly anything a parent could ask for in a that looks great anywhere. Lasko is one of the single largest manufacturers of fans and air products in the world. Measuring a nice 42.5″ (108 cm) in height, it’s got what it takes to keep your little one’s room cool and comfy. For great airflow performance just place it where you prefer and allow about 4 feet (1.2 m) unobstructed space from walls and furniture. The optional oscillation feature will provided excellent cooling coverage as it moves gracefully side to side, filling your child’s room with comforting air. The Wind Curve tower fan features a simple but elegant control panel featuring LED indicator lights. Operating modes and settings are displayed for easy viewing. The controls feel great and are a breeze to use. They’re reliable, too! Just push the fan button to cycle through fan speeds. Use the timer button to set the fan and walk way. 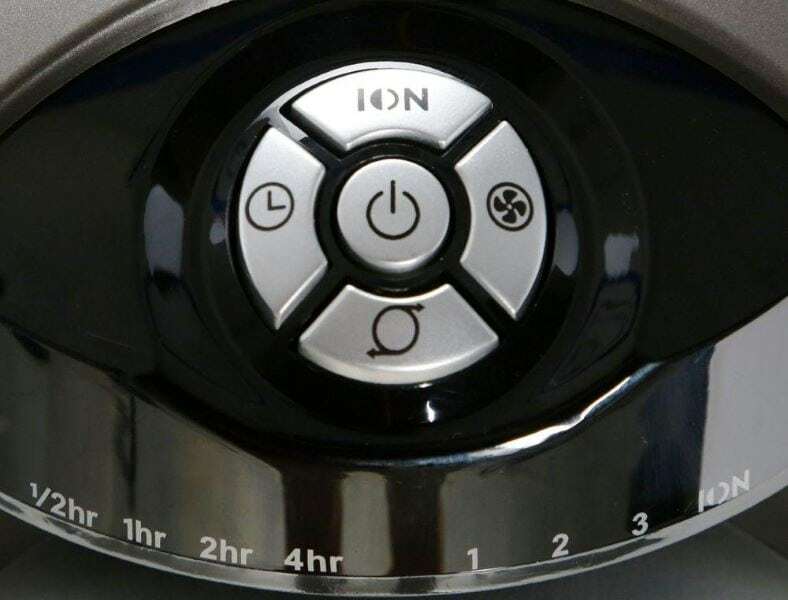 Don’t forget the oscillation button for maximum cooling performance. What would a fan for babies be without near-silent operation? The Wind Curve is a winner there, too. You’ll get a low-noise low speed setting that’s great for sleepy time in your child’s bedroom or nursery. 3 fan speeds are selectable using the push button. Want to set the fan for use while your away, but don’t want to worry about your electric bill? No problem! The auto-off timer feature provides 1/2, 1, 2, or 4 hours of carefree operation before it shuts itself off. One thing that really sets the Wind Curve apart is the bonus ionizer feature that helps reduce airborne germs and contaminants in the air your baby breathes. The Wind Curve features an easy-to-use remote that controls all major functions at the touch of a button. It also stores conveniently on the back when not in use. Very nice! Although I have a few minor gripes with a few features (more fan speeds and more timer selections would be nice), overall it’s definitely one of my favorites. It’s reliable, looks great, and works well to cool your baby’s room. For these many reasons and more the Lasko Wind Curve gets our Editor’s Choice award. Find out today why it’s a fantastic seller with thousands of great reviews at Amazon. 2. Honeywell QuietSet whole room tower fan – Advanced features with a midrange price! 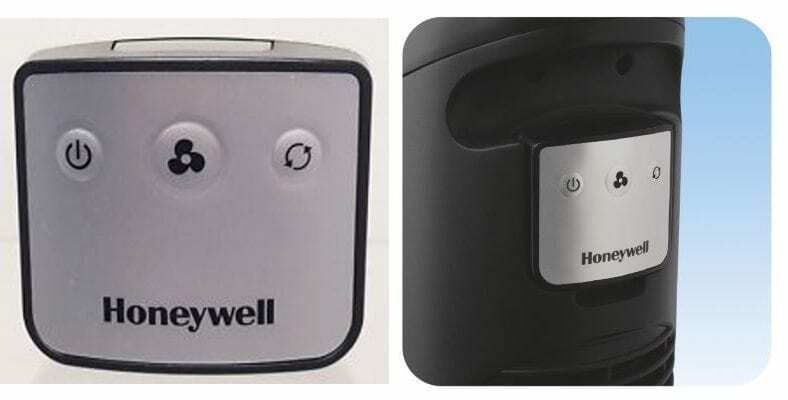 I’ve tested many of Honeywell’s home air quality products and was impressed each time. Let me tell you – the QuietSet 8-speed whole room tower fan doesn’t disappoint, either! You’ll love what it offers to make your little one’s days and nights much, much more comfortable. Several of the wonderful features this well-made and flexible fan really set it apart. However, it won’t break the bank, despite giving your more value for your dollar. Standing a tall 40″ (101.6 cm) in height it’s packaged in a sleek satin black finish that looks great nearly anywhere. Like convenience? 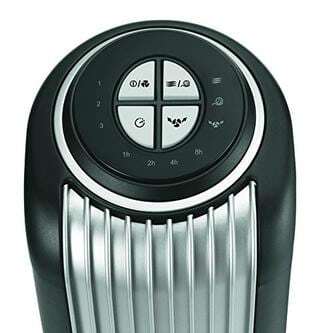 A super-simple remote control is included to let you adjust fan speeds and modes without hassle. No need to walk across the room or get out of bed! Just click and you’re done. When not in use it stores out of the way in the provided storage holder. There’s a simple but extremely handy remote control included, too. While the QuietSet’s remote doesn’t offer some more advanced operation like the Lasko Wind Curve model, it’s still very useful and a feature I love. Turn the fan on/off, use oscillation, or change fan speeds from across the room (at great convenience at night!). The controls are some of the bet I’ve seen yet. Check out the picture below to see what I mean. Controls are sleek, clear, and the display looks great. A fan speed/mode meter displays the selected fan mode. 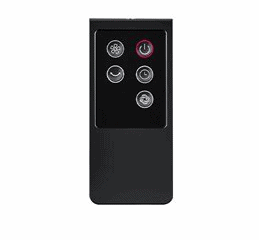 Push button controls allow simple operation with the press of a finger. There’s also a night dimmer option to make sure it won’t keep your baby awake. An auto-off timer is included and provides 1, 2, 4, 6, or 8 hour time delay choices. Just set the timer using the button and the fan will automatically shut off while you’re away or asleep. Easy-touch electronic controls make the QuietSet seem more expensive than it is. The definitely a touch of class and I’m a fan of the design. Need to move the fan closer to your child’s crib or further away? It’s easy: there’s a built-in carrying handle on the rear just for that. Rest easy! 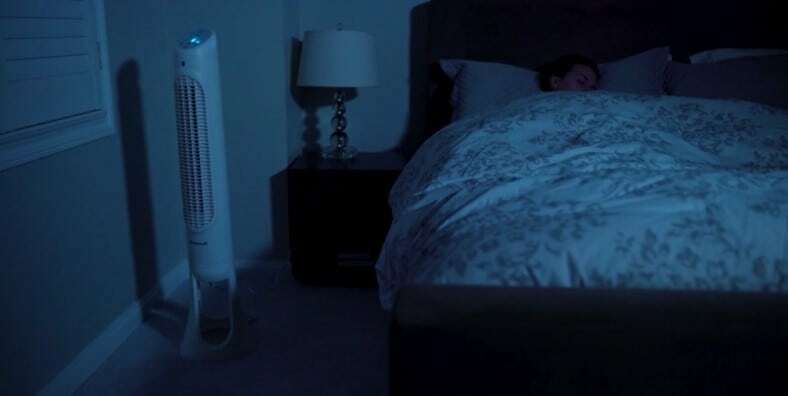 The QuietSet fan works wonderfully at night when you and your little ones are sleeping. There’s a multi-level dimmer to keep the indicator lights low or completely off. Thanks to the extremely low noise level you or your child can enjoy a comfortable, restful sleep undisturbed. It’s one of the best you’ll find in its class and price range. What helps really set it apart is the extremely low noise level. In fact I was impressed, to say the least. I do wish the remote was as full-featured (more buttons) like some other models I’ve tried. However, that’s a minor gripe considering what you get. And did I mention? It’s extremely easy to set up – there’s only a few pieces to assemble. Directions are clear and easy to follow. 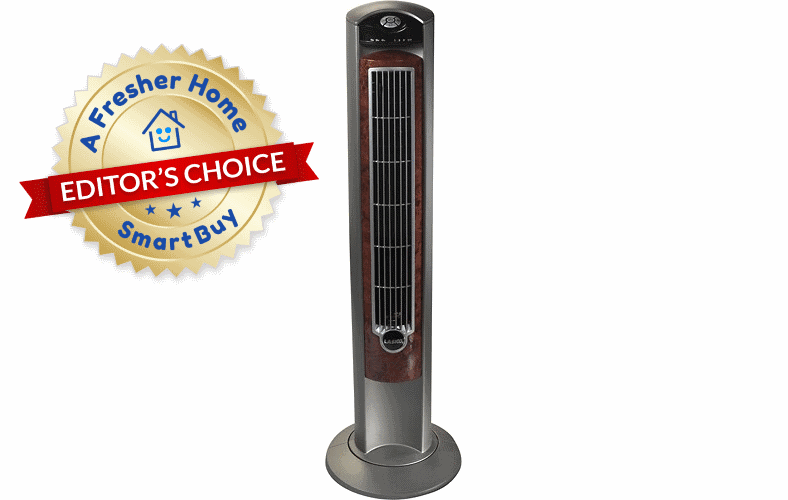 The Honeywell QuietSet is an impressive, quiet, and just overall excellent tower fan. It’s one of the best you’ll find for under $75, too! I’m impressed with the quality, looks, and performance. It’s a definite winner. Don’t let your little one suffer from the heat any longer! Head over and find out why it's one of the top-selling fans at Amazon now. Got a tighter budget or don’t need a full-size for your baby? There’s good news in store. 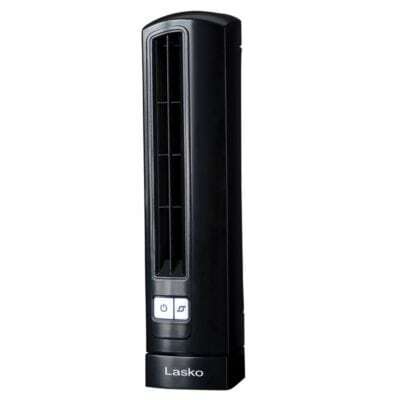 The Lasko Air Stik Ultra Slim offers low cost (around $40 or so), great convenience, and small-sized cooling ability. Lasko manufacturers a huge range of cooling and home air products including some of the best-selling models on the market. Measuring 14″ (35.6 cm) tall, it’s a an excellent choice where space is tight. While it’s very affordable you might think it’s short on quality…it isn’t! It’s a great match for any nursery or baby bedroom. The Air Stick features backlit buttons which making it easy to see and use even at night. Choose 2 quiet yet refreshing speeds to cool your child’s crib, room, or playpen anytime you like. Keep it right next to their bed at night – it fits well on tables and night stands! The Air Stik is small enough to fit in places other fans simply can’t. It fits right in your baby room, bedroom, or even mom or dad’s office at work. Just like larger and more expensive models there’s an oscillation feature built in too. A generous 60 degrees of fan sweep area helps circulate air and remove heat from your baby and their bed and body. Also included in the design (unique to Lasko’s patent) is the “blue safety plug.” The power cable plug provides internal fusing in case of an electrical overload, short, or other unsafe condition. Should a problem arise, the fuse will disable power to the fan to prevent the possibility of fire or other hazards. It’s a great bonus that adds peace of mind. While it’s not perfect (there’s no auto-off feature or a remote control) it’s still a great buy and one of the best compact tower fans in its class. Why spend the same money and get less? When it comes to compact fans there are a lot of choices, but the Air Stik is simply a better performer and better made than most you’ll find. I give it a “thumbs up” and recommend it. Have a look and see why it's one of the best-selling compact fans over at Amazon. 4. Holmes 32″ oscillating tower fan – Easy to use, high-quality, and nice features for a good price. Have you heard of Holmes and their great line of home air products? If not, you’re definitely missing out on a whole family of great choices. I’ve tested several Holmes models and found that they’re well-made and affordable. The excellent and sharp-looking HT38R-U tower fan is another great example. You get a great combination of features, price, and performance. It’s also one of the easiest to use tower fans I’ve ever seen. Standing about 32″ (82 cm) in height I find it to be one of best-looking models I’ve had the pleasure to review. The base is also especially wider than many competitors at 11″ in diameter, adding a supportive and stable base to avoid tipping over. Featuring a simple control panel with clearly marked push buttons, the Holmes HT38R-U is a pleasure to use. Just touch a button to switch between 3 fan speeds, start oscillation, set the auto-off timer, and turn on/off. Buttons feature backlighting for night use as well. Very nice looking! I really like it. What I especially like is how you get some of the great features found on more expensive competitors. For example, an auto-off timer is included to allow “set and forget” operation. Choose from 1, 2, 4, or 8 selectable time periods and afterwards the fan will shut itself off. An oscillation feature is included as well to offer almost 180 (yes, 180!) degrees of wide room cooling air coverage. Switch it on and the unit will gracefully move side to side, blowing comforting air into your child’s room or directly on them. 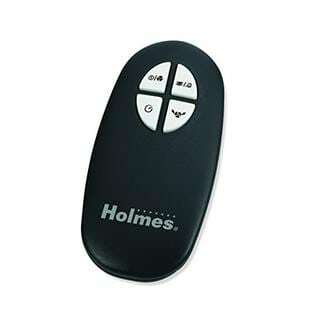 Despite being less expensive than some competitors, the Holmes tower fan also includes a nice little remote control. It allows convenient control of all major fan functions including oscillation. A handy little remote control is included, too! With it, operate the fan from across your bedroom or anywhere at home within about 25 feet of range. I was pleased to see that there’s also a nice carrying handle built into the fan, making relocating it simple and a pleasure. There’s no need to spend a lot to keep your baby cool. The Holmes HT38R-U is a really nice choice for keeping your infant’s room comfy and tranquil quietly. Buyer reviews are great and definitely worth checking out. I like the build quality, fan cooling performance, and the features. Head over and find out why it's one of the best-selling fans at Amazon now. 5. Pelonis 36″ FZ10-17JR – Stylish, functional, and affordable. A new contender on the block, the the Pelonis FZ10-17JR oscillating tower fan is a hidden gem you should see. It’s backed by many happy buyer reviews as well. The Pelonis has a beautiful modern and sleek satin black design. It’s quite nice looking, in my opinion. The front facing status display shows current operation without having to walk over to the fan. Additionally, the indicator lights dim automatically after 30 seconds to avoid distractions at night. 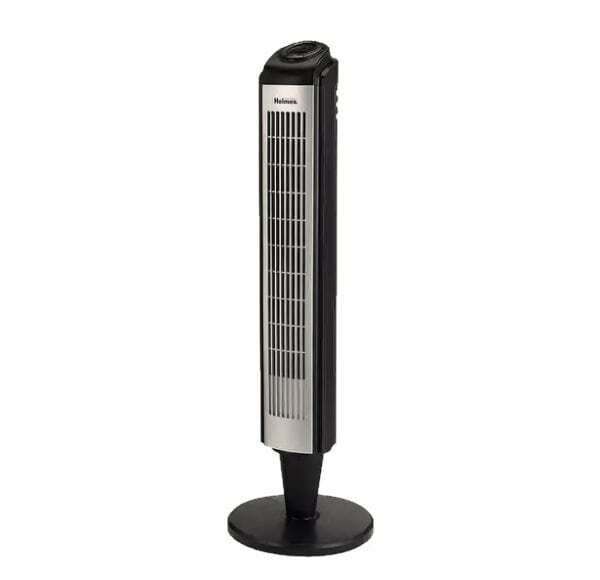 The Pelonis tower fan includes a simple but super-convenient remote control. Turn it on or off, change fan speeds, and switch on oscillation without having to stop what you’re doing! A great little (but simple) remote control is included as well. While it’s basic (I would have liked to see a better design) it works well and allows controlling all the features you need. It’s especially helpful when you’re within range of your baby’s crib or bed. You don’t want to have to walk over every time you need to adjust the fan, right? An electronic push button control panel is provided (top-facing) and is one of the best I’ve seen. Very simple, clear, and yet very elegant in design. The push buttons also have a great “feel” them and don’t feel cheap like lesser products I’ve tested. 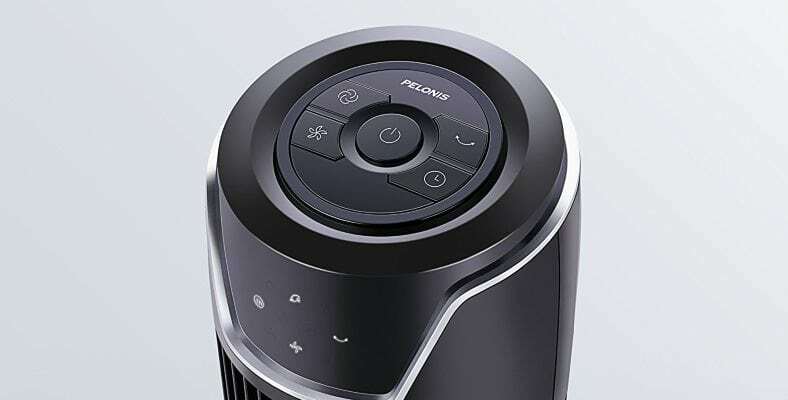 The Pelonis tower fan also includes an oscillation function for 60 degrees of side-to-side movement to sweep the room with powerful cooling airflow. In combination with the 36″ (91 cm) tall design you get great nursery/baby room cooling that works well. The fan’s noise level (sleep mode) is one of the most quiet available and won’t disturb your little one. There’s also a 7 hour programmable auto timer, too. Just set the fan’s time choice, walk away, and after time’s up the fan will shut off automatically. It’s a fantastic feature I love – and it helps cut down on electricity use, too! Putting the fan together is easy – no screws needed! You’ll be up and going in no time at all. I do have a few minor issues with the Pelonis (no battery for the remote, limited fan speeds, and no digital fan speed level meter display) but it’s still a great overall value. Most importantly, it cools a room well and is simple to use. Want an affordable, simple, but effective way to cool your baby and your home? The Pelonis really is a great choice. Have a peek at the great reviews and many happy buyers over at Amazon. Without a doubt, the Lasko Wind Curve is one of the best choices to keep your little one comfy. I awarded it the Editor’s Choice Smart Buy label as it’s a quality, well-rounded value. Without hesitation I recommend the Lasko Wind Curve tower fan for baby rooms, nurseries, and much more. It’s well-made, value-priced, and includes a great assortment of features. Head over to pick one up for yourself today at Amazon today. Trying to figure if you need a humidifier or dehumidifier for your little one’s room? Read my detailed guide explaining the differences between humidifiers and dehumidifiers for babies here. Also, find out if air purifiers are good or bad for your baby’s health. 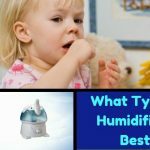 What Type Of Humidifier Is Best For Baby Congestion?